I love how Maris Wicks combined fiction and nonfiction to make this amazing story! With a skeleton narrator I find it impossible to get bored. If this book was the only book on earth and I was forced to read it I wouldn’t fuss at all. What an amazing book! New Non Fiction: Back to School numbers. Welcome to Term 3! I hope you all had a fantastic break over the school holidays. Here are some new junior non fiction to help you catch up on your school work. Why do reptiles have scales? : and other questions about evolution and classification. Wildlife wonders? You better believe it. This book covers anything and everything you want/need to know about the classification and evolution of reptiles and how they have adapted to survive the ever changing environment. This is a great book to use for biology projects and homework. Great for Primary and Intermediate level. You might also want to check out Why do Plants have flowers? and other questions about evolution and classification. Lots of amazing facts about the evolution and classification of plants, like you find out the age of a tree by counting the rings beneath the bark and apparently find out which flower smells of rotting meat – Whoa!. A great resource to sue for horticulture projects and homework. It’s time for Animaths! It’s time to improve your maths sssskills by looking at Shapes with Snakes. Become a “roaring” success with maths by Taking Away with Tigers and some maths ant-ics by looking at Adding with Ants. These books are great to use to introduce young children to simple key maths concepts with the use of cut out photos of animals. These books are sure to engage the interest of reluctant mathematicians. According to Wikipedia, The Commonwealth of Nations, commonly known as the Commonwealth (formerly the British Commonwealth), is an intergovernmental organisation of 53 member states (including New Zealand) that were mostly territories of the former British Empire, with some notable exceptions. The Commonwealth operates by intergovernmental consensus of the member states, organised through the Commonwealth Secretariat, and non-governmental organisations, organised through the Commonwealth Foundation. Luckily for the library, we now have a junior non fiction book jam packed with information about the Commonwealth. This informative, fact-packed guide also tells you all about the history and the aims of the Commonwealth since its foundation in 1931. Did you know New Zealand is one of the 53 countries led by HM Queen Elizabeth II? A great book to use for Social Studies homework. Ready for another back to school number that will help you ace Home Economics and allow you to unleash your inner Gordon Ramsey-Jaime Oliver- Nigella Lawson-Chelsea Winter? Donna Hay has released a cookbook for kids. Donna Hay for kids?! How cool is that! Check out the awesome cookbook, catered for cool kids that contains over 40 fun and simple recipes for kids to make for family and friends to enjoy. Found a few tasty numbers like spaghetti bolognese, sausage rolls, chicken noodle soup, cup cakes and chocolate moose. Wow, I wish I had this book when I was doing Home Economics at school. Encyclopedia of the human body : begin to discover the human body. Got a biology project coming up on the human body? This back to school number can help. The Encyclopedia of the human body will allow you to discover information about how the human body and anatomy works. You will discover and learn everything from how blood flows through the heart, to how food is digested and where your voice comes from… hmmm! This is the kind of book that makes *physiology look cool and screams AMAZING! *Physiology: The branch of biology that deals with the normal functions of living organisms and their parts. New Non Fiction: The gross, the angry and just plain horrible. Prepare to be shocked! Prepare to be horrified! Prepare to be… grossed out! Read at your own risk! Which scientist ate a poisonous snake for dinner? Where can you find a dragon with bad breath? Who made false teeth for an elephant? Discover all the awful answers and more in the latest book from Horrible Science called Angry Animals. Reading this book will make you think twice about everything you know about your favourite animals. This is the science book to read with all the squishy bits left in! Horrible Histories and Terry Deary has done it again with the latest book from the series. Discover all the foul facts, gore and much more in Cruel Crime. You will also discover answers to the following questions like who was sentenced to death, by coffee, Where you could be whipped for flying a kite and why a cockerel was burnt at the stake. Check out this new (and disgusting) read from National Geographic Kids which is bound to make your tummy churn. You will learn about the gross and disgusting trivia that shares historical information, cultural tidbits and sickening scientific sidebars on everything from nose picking and insect-based foods to hairballs and digestive commonalities. More than enough information to put you off your lunch. Brains, bodies, guts and stuff. 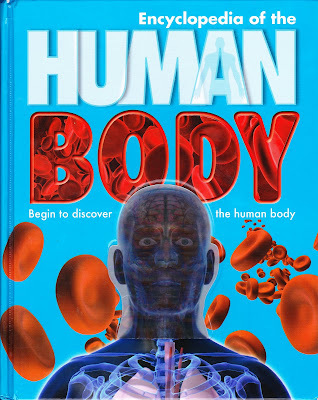 Ever wanted to read about the human body with no boring bits? Then look no further. This book explores everything from cells to organs to breathing to blood flow to scabs and rashes to broken bones and brain power. Includes puzzles, quizzes and experiments. Also find out what happens in your head during a headache and what toes are for. The series title takes the words out my mouth! Check out the new and latest books from this series. Gross things about your pets. You think you know everything about your pets. They’re cute, they’re cuddly, they’re… gross! Read all about the gross things that your pets do, like dogs and cats sweating through their paws, rabbits producing two types of droppings and cats drinking grass juice. Some gross things are good, while others are not. Decide for yourself whether those facts are cool or gross. Gross things about your food. This will make you think twice about the food you eat. Read all about gross things you didn’t know about food, like microorganisms age beef, people in Nigeria eat locuts and sheep’s cheese is made using maggots. Also learn about some foods that some may find tasty while other might find gross. Judy is in a grump on Monday morning, until she finds out her class is doing a Human Body project at school. Skeletons, bones, cloning and even going to the real live hospital! Judy’s going to have a blast! Want to learn more about stuff? This month in the library we’ve got books about time and how people have measured it in history (The Time Book), words and the English language (The word snoop), the best way to make people laugh (Funny business), some more disgusting facts and trivia (Why does ear wax taste so gross? ), and how does the internet work anyway (How did that get to my house? Internet)? For more new non-fiction arrivals have a look at the My Library Children’s Non-Fiction page. 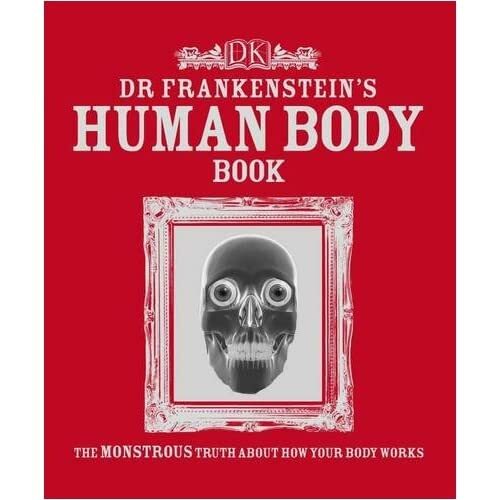 If you’d like to have an insider’s view of how the body works, then you should go and check out Dr. Frankenstein’s Human Body Book by Richard Walker. It even has a really cool holographic cover! It’s like stepping inside Dr. Frankenstein’s laboratory and watching him create a human being! It has all these really detailed illustrations and descriptions of how the body works. I truly enjoyed reading it so I hope you’ll take some time to check it out yourself.